Beervana Buzz: What's Beer Got to Do With it? I met Laura 25 years ago. She was a not quite halfway through her career in healthcare at the time. She reached thousands of people by way of her work in various hospitals, as an educator at OHSU and, more recently, as a Nurse Practitioner in the Legacy System. Today she retired, after 42 years of service. 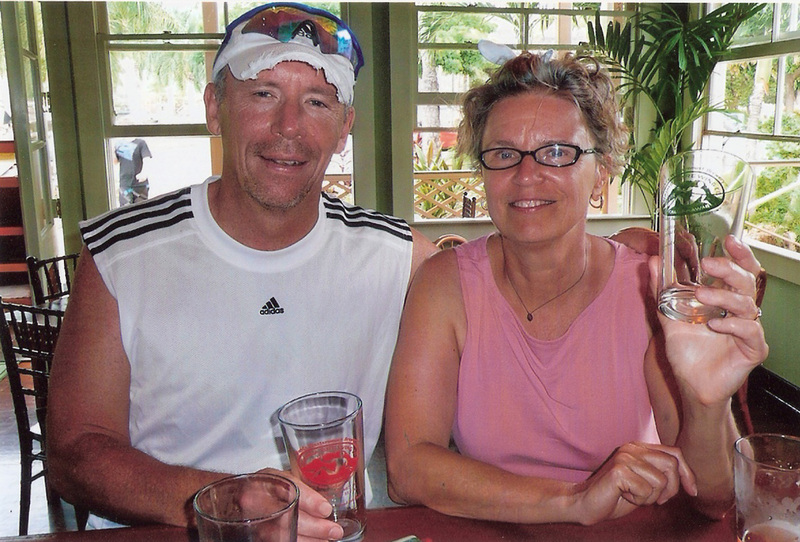 Our paths crossed and eventually merged thanks largely to a common obsession with racquetball. This is not a made up story. We were addicted to the sport. During most of our first 10 years together, regular weekly play and tournaments dominated our annual schedules. It was quite insane. What we came to regard as our "need for speed" also coaxed us into other risky activities. A shared interest in snow skiing led to annual outings on Mt. Bachelor and Mt. Hood. During a trip to Kauai in 1996, we developed a boogie boarding fetish that lasted many years. Outings were not without peril and occasional anguish. Both of us were "spin-cycled"into the sand on the beaches of Poipu numerous times while boogie boarding. But the worst occurred on Mt Bachelor in March 2008. While skiing in chopped up powder after a stressful night searching for a marauding black dog, Laura caught an edge on a snowboard rut and mangled her knee. She was unable to stand. The Ski Patrol was summoned. She had suffered a torn ACL and meniscus damage. The trip back to Portland was painful. Soon enough, the damage was surgically repaired. She eventually returned to the slopes wearing a rigid brace. It was tough to have such limited mobility and she was tentative. I don't think she ever recovered emotionally. Getting injured like that was something she'd never experienced, didn't expect. It knocked her for a loop. That 2008 incident foreshadowed the end of our "calm years." In early 2009, Laura's father passed away, more or less unexpectedly. Returning from his memorial, I was laid off, an event that had lasting consequences. Shortly thereafter, the second of our first pair of Labs passed away. Soon enough, I learned my own father had cancer. He passed away in November. It's fair to say 2009 was not a very good year. From that point on, Laura carried the load in our household. 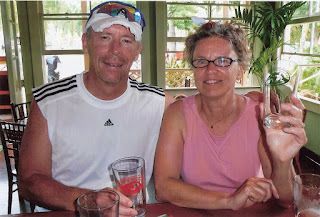 With my career in disarray, she kept us afloat by paying the bulk of the bills while at the same time planning for her impending retirement and contributing to the college funds of her two grandchildren. Somehow, some way, she succeeded. The house was paid off a year ago. The college funds grew. We survived. Unlike my uneven career in marketing communications and writing, Laura's career in healthcare featured a gradual, upward trajectory. During the Clinton years, she opted to get her NP certification because she believed primary care would be the wave of the future. If memory serves, we both thought primary care would become somewhat universal and well-funded. Things clearly didn't work out the way we figured. Laura rolled with the punches for 22 years in several scenarios. She's seen a lot of change. Technology now plays a far greater role than it once did. But the end result is that providing care has gotten more difficult, not easier. That's largely due to the way the insurance industry works, but never mind. These last few months of work have been bittersweet. As she gradually approached her final day in the office, Laura exchanged hugs and tears with patients, some of whom she had been seeing for a number of years. She'll undoubtedly be missed by those patients, and also by the colleagues she worked with so closely during this final chapter at Legacy. She'll miss those interactions more than she knows, but it may take some time for that to sink in. Even though she's retiring, Laura's efforts in the healthcare area won't end. She'll maintain her license for a while, maybe do volunteer work somewhere. She doesn't plan to consider work as a healthcare provider similar to what she's done for more than two decades. "That's a mission impossible scenario," she says. "Too messy." As with all things, there is irony. One of Laura's specialties over the years has been diabetes care. 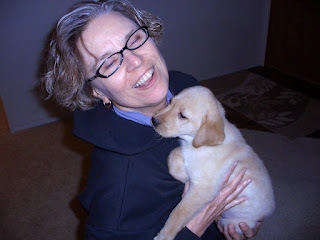 That experience will come in handy because we recently learned our youngest Lab, Biscuit, born on Valentine's Day 2009, is diabetic. So even though Laura is retiring from the office, she'll still be providing care. The irony is not lost on either of us. What's beer got to do with it? Very little. Laura prefers wine and does not share my geeky interest in beer. But she encouraged it by giving me homebrewing equipment for my birthday in 1995. I brewed for years and we shared a lot of that beer. 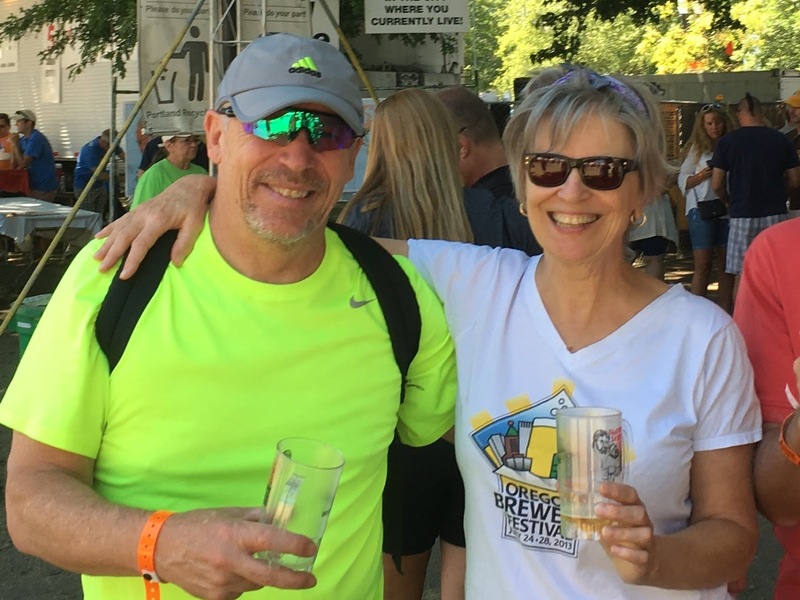 We also frequented the Oregon Brewers Festival as drinkers and volunteers for more than a decade. Today, only I chase beer. Honestly, I don't know what her retirement holds. She has far too much energy to sit around and do nothing. Gardening, reading and sudoku won't be enough. This I know. I worry that she'll drive me nuts as I attempt to work in my basement office. She worries that I'll run off with one of my millennial beer friends. The reality is, we'll work things out. We always have. So congratulations on your retirement, my dear. It's certainly well-deserved. Time to start enjoying everything you worked so hard to attain for all these years. Postscript: A quick shoutout to the folks at Ox Restaurant, Laura's chosen dinner venue. After a great dinner that included a bottle of wine and several entrees, as well as the ice cream shown above, we were told our dinner check had been taken care of. Our server had learned of Laura's retirement during the course of our meal. Needless to say, we left a large tip. Great post, Pete! Congratulations to Laura on her retirement and perhaps some day I'll get to meet her in person. Maybe she'll come check out the dungeon with you (we do have a couple bottles of wine...). Thanks, Kris. I hope she'll come check out the dungeon. We'll see. A very nice tribute. Congratulations to Laura, and all the best to both of you as you move on to the next phase of your lives together. Well done, Mr. and Mrs. Dunlop!